runs of your 12v battery comes with double sided tape. 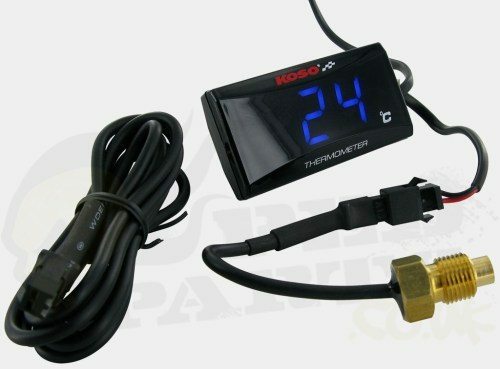 Super slim digital temperature gauge from Koso. Elegant and stylish KOSO temperature gauge. The slim design gives this a classy style and the compact construction allows for attaching this practically wherever you want. Digits are glowing bright blue! The display will flash when the temperature is over 120°C.